How does a momma get support for medical challenges without oversharing? 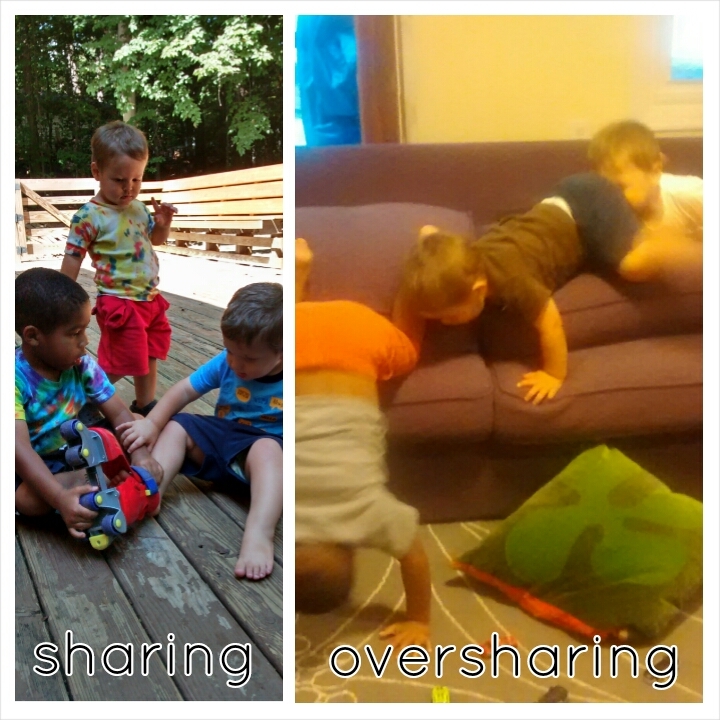 When does sharing become oversharing? The beauty of having more than one child is that I can say, “One of my children was diagnosed with something,” without throwing one of them under the bus. If I had an only child, I wouldn’t be able to say that. One of my sons recently received some diagnoses. (He is healthy; not to worry!) As a mother, this ranks high on the list of challenges/ priorities/ things about which I want to vent. As a mother, however, protecting my son is my number one priority. Therefore, I (obviously) can’t spill medical business on a public blog. However, as a mommy blogger, I also know the value in sharing weaknesses. Not only does it help others who might be going through the same challenges, but it also provides a support network for me. Perhaps if my first priority is protecting my son, then my second priority would be advocating for my son. And, sometimes, as a stay-at-home mom who has a vivid online social life, advocating can mean gaining knowledge and strength from other mothers who have been there before me. How do I do that without oversharing? How do I do that without compromising my son’s privacy? Reading good old-fashioned books is one way. Privately reaching out to friends who have already shared their children’s situations is another way. Keeping up with appointments is another way. I am doing all that. I am trying to absorb and grieve a little bit too. But when I open the vault, when I bare my soul online, the outpouring of support that I receive is just true “balm of Gilead”. I wish I could do it this time. But I can’t. What I will do is share some of the beautiful things that friends have said to me in private, when I opened that vault in a non-blog way. “Oversharing” is such a four-letter word. It’s such a bad thing to do, especially if you are a mother, especially if you are a mommy blogger. “Sharing” is such a beautiful word. Sharing my trials with these friends meant that I received these warm words in return, right when I needed them. I’m so sorry you’ve had painful news about one of your precious children. I hope, as you work through this, you’ll trust the wisdom in the support you’re receiving from friends who know and love you. And, you know, if you NEED to write it out and receive feedback and support from others who are facing a similar challenge, you can always create a blog focusing specifically on this issue, and keep it anonymous. That’s good advice. Thank you! I might do that. Love the advice of taking time to adjust to the new information. And that bum to head, bum to head photo is priceless! Thanks! Glad that photo was clear enough … ha!